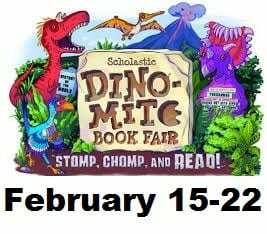 Get Ready for a DiNo-MiTe Book Fair! Get ready to STOMP, CHOMP and READ! The Spring Book Fair will be here before you know it! For your convenience it is scheduled around the “Cinderella” musical performances! It will be an exciting week, for sure! 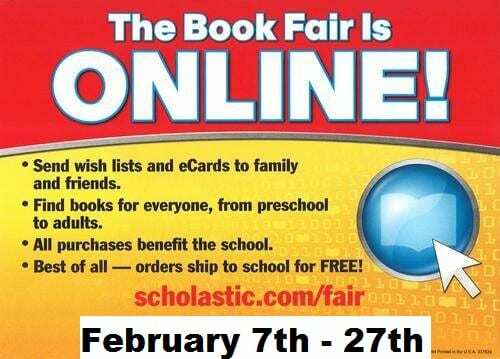 If you are not able to come to the fair in person, or prefer to not send cash with students, please take advantage of the ONLINE BOOK FAIR, beginning February 7th through February 27th. Click here follow the link and access more information, including the catalog. Click the link and scroll down to the Online Book Fair Section. We will be doing another challenge to raise money (using extra change) for more books. Remember the pie in the face? Mr. Keith sure does!!! What are we going to do with the winner this time? Please click this link to make a suggestion!